With a rich history in the arts as well as a flourishing contemporary art scene, Tokyo is one of the best places in the world for art lovers. 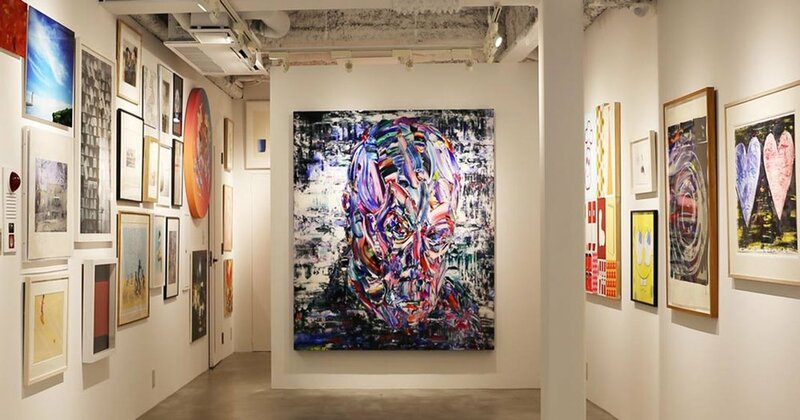 If you’re looking to buy a few Japanese art pieces for your own personal collection, check out these 12 Tokyo galleries and shops dealing both contemporary and traditional Japanese art. To find out more about the history of Japanese art, check out The Extraordinary Story of Japanese Art! Yufuku Gallery is home to many Japanese and international artists whose works complement the gallery’s abstract concept of what defines contemporary art. Sculptures created from fantastic visions in a variety of materials fill the space and invite viewers to think about intercultural-communications in relation to Japan. Founded in 1993, this gallery is very progressive in its operation, and has much to offer to both the world and your home. Open: 11am to 6pm Tuesday through Saturday. More info here. Transport: 4-minute walk from Aoyama-Itchome metro station on the Hanzomon, Oedo and Ginza lines. The Mita Arts ukiyo-e gallery in Jimbocho has been supplying Tokyoites with quality Japanese woodblock prints and paintings for over fifty years. For the serious art collector, the gallery carries plenty of original paintings dating back to the Edo Period as well as modern ukiyo-e adaptations from artists like Tsuraya Kokei. Japanese ukiyoe is and endlessly fascinating topic. To find out more about the foremost woodblock master, take a look at the Iconic Hokusai Prints: Thirty-Six Views of Mount Fuji! Open: 10:30am-6:00pm, closed Mondays and Sundays. More details here. Transport: Minutes from Jimbocho metro station on the Hanzomon, Shinjuku and Mita lines. Aoyama Square, located in the midst of the Akasaka, provides traditional crafts from the far reaches of Japan. If you are looking for souvenirs and home goods that are guaranteed authentic and high-quality, why not make it another stop on your Tokyo tour? Live craft demonstrations with English interpreting are available on occasion to provide an insight into the history and process of featured pieces. The gallery’s staff also provide expert guidance and advice about the history and origins of their various wares. So even if you know nothing about how a teabowl is made, you’ll be sipping from a work of art in no time. While you're learning about Japanese craft and designs at Aoyama, you might be interested in the Art of Kimono: Designs, Patterns and Inspiration. Open: 11am to 7 pm. More details here. Transport: 5-minute walk from Aoyama-Itchome metro station on the Ginza, Hanzomon and Oedo lines. Located in the heart of Tokyo, Hara Shobo has been providing an oasis of traditional Japanese prints and illustrations for over seventy years. Many of the works available are original and one-of-a-kind; not to be found elsewhere in Tokyo. Their inventory of printmaking related readings is also very impressive, and has been renowned internationally. Hara Shobo provides a wealth of knowledge and resources for curious travelers and locals alike. Open: 10am to 6pm Tuesday Through Saturday. More details here. Transport: 10-minute walk from Suidobashi JR station on the Chuo-Sobu line. Take a dip into the art world in this 200-year-old bathhouse turned gallery. SCAI The Bathhouse is a space that has specialized in exhibitions, public work projects and commissioned pieces for public consumption since 1993. The reclaimed walls of the gallery have hosted contemporary artists such as Ufan Lee and more modern sculptors such as Kohei Nawa. Just a short walk from the serene Ueno park and surrounding museums, it is the perfect addition to your art-hopping endeavors. Open: 12pm to 6pm, Tuesday through Saturday. More details here. Transport: 10-minute walk from Nezu metro station on the Chiyoda line. The Adachi Hanga Research Institute is not only a gallery, but also a workshop and publisher of woodcut prints. Artists are hard at work recutting and reprinting many of the classics of ukiyo-e prints, including such masters as Hokusai and Hiroshige, so that you too can enjoy the freshness and vibrancy of color that 19th century viewers would have experienced. Though their e-shop has over 1,200 carefully captured works, visiting in person allows you to watch the resident artist’s process demonstrations, which provides some context and background to the art you are buying. Open: 10am to 6pm, Monday through Friday. 10am to 5pm, Saturday and Sunday. More details here. Transport: 10-minute walk from Mejiro JR station on the Yamanote line. For all things that glitter and gleam, Gallery Deux Poissons has you covered. 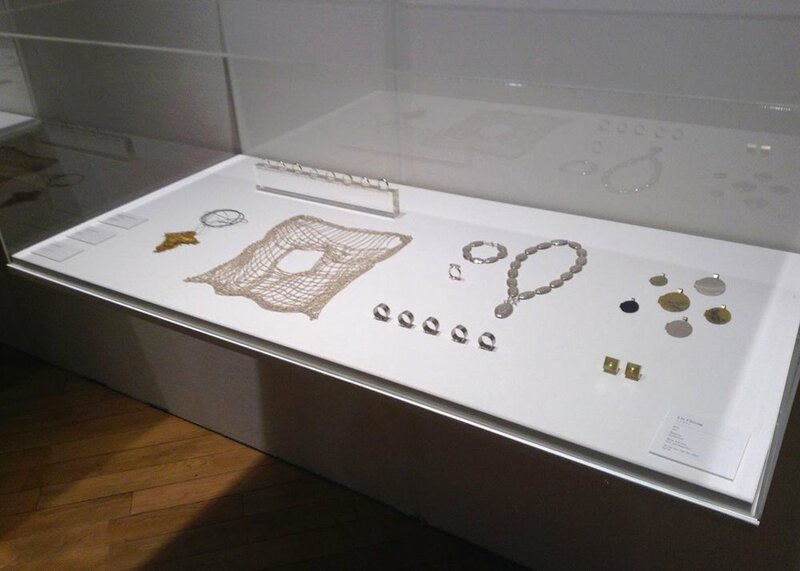 There are several exhibitions per year that feature an assortment of both domestic and international jewelry artists. Many of these innovative jewelers work in unconventional materials, such as the glass rings of Kazuko Mitsushima, or Kazumi Nagano’s work that weaves together gold, nylon and paper. The gallery holds its classic collection, that includes wedding band styles, on display for everyday browsing. Located in the forever-chic neighborhood of Ebisu, each piece is exceptionally unique by design. If you want to learn more about some of the most fascinating Japanese art jewelers, take a look at these Jaw-Dropping Japanese Art Jewelers. Open: 12pm to 8pm. Closed on Monday. More details here. Transport: 10-minute walk from Ebisu JR station. This gallery has catered to collectors and museums worldwide, and they are eagerly waiting to serve you too. Soumei-Do carries carefully curated ukiyo-e woodblock prints, alongside works of several other Japanese printing styles. Modern nature scenes and retro shin-hanga amongst dozens of other options available both in-store and online for your browsing convenience. But be sure to check out their gallery in person, as the stylish interior and well-organized inventory are well worth exploring. Open: 11am to 7:30pm. Closed on Monday and Sunday. More details here. Transport: 1-minute walk from Jimbocho metro station on the Hanzomon, Toei Shinjuku and Mita line. Check out Walls Tokyo for interesting Japanese contemporary art pieces and wall decor. This large exhibition space is set up in a modern, industrial gallery in Hakusan, Bunkyo ward. In addition to exhibiting the art, Walls Tokyo makes it very easy for collectors to purchase pieces by selling the complete inventory online through their website. Open: Noon to 7:30pm Monday through Friday, 11:00am to 6:30pm Saturdays and Sundays. More details here. Transport: 10-minute walk from Hakusan metro station on the Mita line. Tokyo Gallery Yamada Shoten sells a great variety of art and culture books, but houses a wonderful collection of woodblock prints and original art. If you’ve ever wanted to own ukiyo-e but were put off by the price tag, Yamada carries faithful and affordable reproduction prints to suit any taste. Open: 10:30am to 6:30pm, closed Sundays. More details here. The Container is a gallery and shop located in Naka-Meguro, a neighborhood known for its hipster coffee shops and artsy clientele. The name comes from the store’s setup, which is located inside a repurposed shipping container inside a hair salon, Bross. Knowing that, it’ll come as no surprise that The Container carries mainly contemporary art. In addition to selling original art, they also carry art books, sculpture, clothes and other odds and ends. Open: 11:00am to 9:00pm Monday to Friday, 10:00am to 8:00pm Saturdays and Sundays. Closed Tuesdays. More details here. Gallery 360 is a small contemporary art gallery in the upscale Aoyama neighborhood. The gallery hosts exhibitions from Japanese and foreign artists and sells paintings, prints, posters and other wall art. They also stock new and antique books. Most paintings and art pieces are originals by the artist on display. Open: Noon to 7:00pm, closed Sundays. More details here.